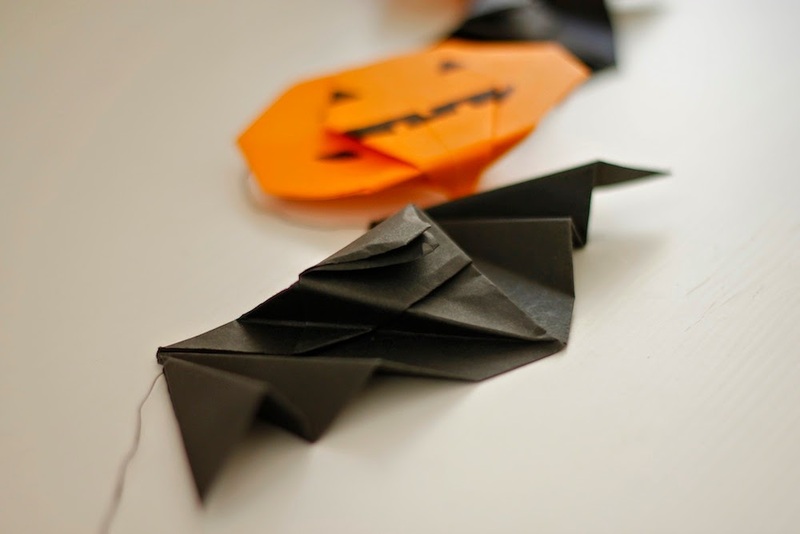 Halloween is just around the corner, so if you want to decorate your home it might be time to get started... ;) Today I'm gonna share a fast and easy to make garland with origami bats and pumpkins which won't take you longer than an hour to make. 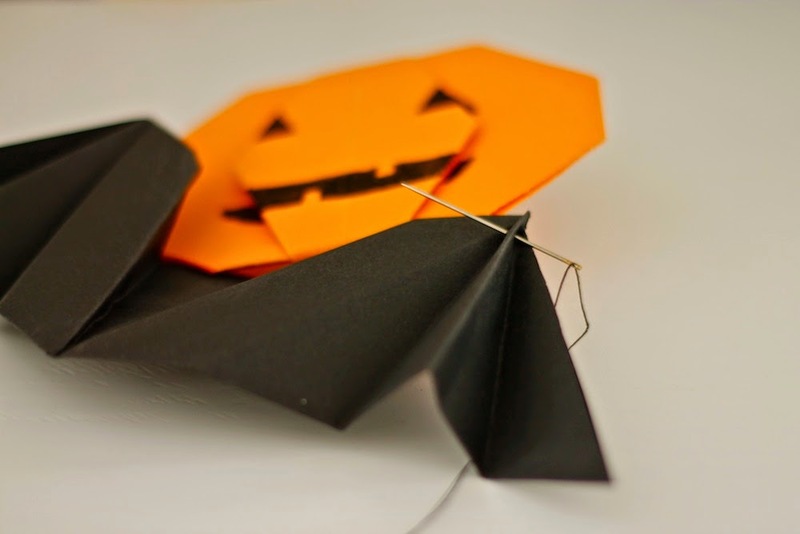 Start out by folding three bats and two pumpkins. 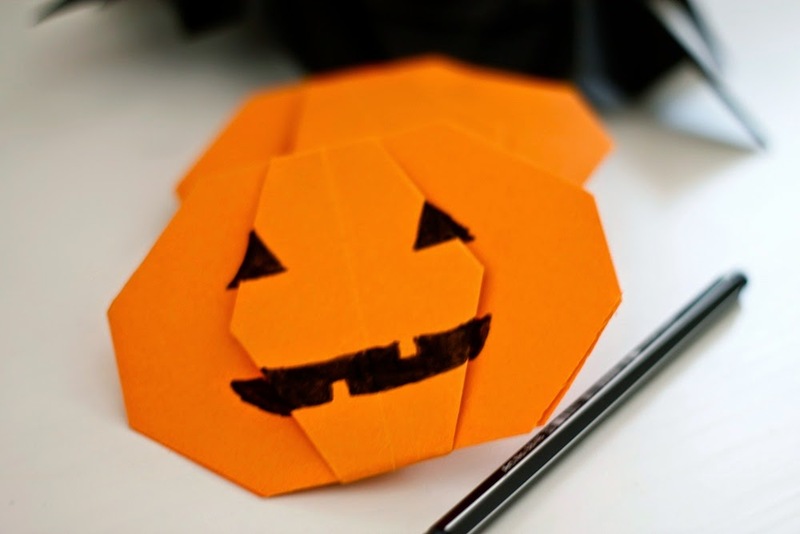 When you are done with folding, use your permanent marker to draw faces on your pumpkins. 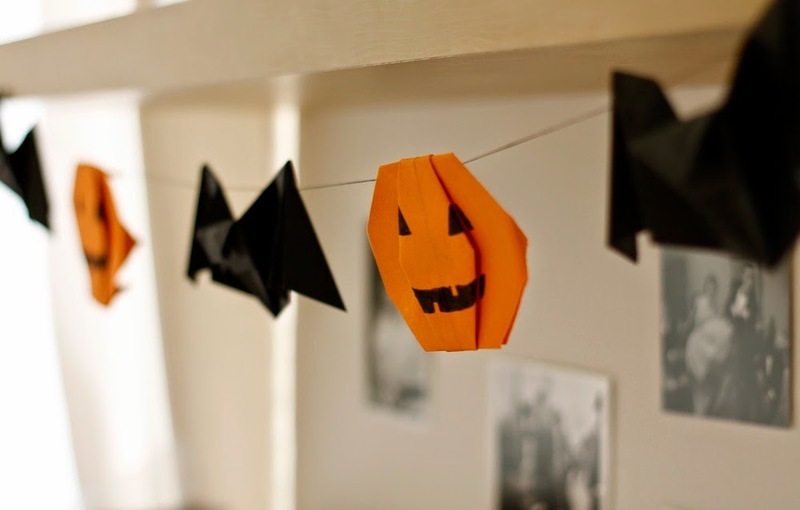 Thread the bats and the pumpkins on your black yarn and fix the finished garland at a place of your choice.